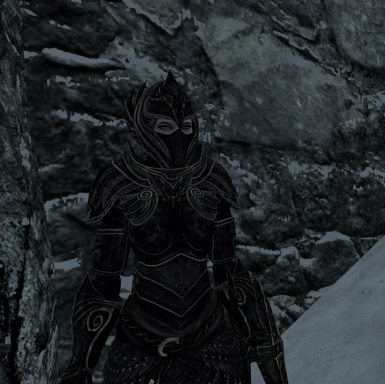 New texture for Elven armor and Weapons, including a new masked helmet for all races! Comes in a customizable standalone crafting version or a version that replaces the default elven equipment. Thanks to JulianP for creating the Standalone Thalmor version, and to Vinifera7 for bugfixing! 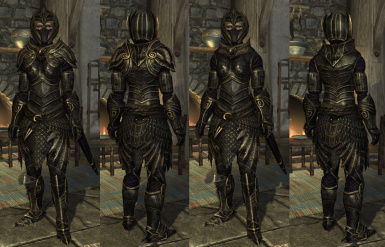 A standalone version created by JulianP which replaces Thalmor NPC elven equipment with new black and gold Thalmor armor and weapons, while leaving the default elven armor and weapons unchanged. Also adds recipes to craft Thalmor equipment at the forge. Includes OPTIONAL files for "Maskless Thalmor" (Thalmor Npcs will only wear the maskless version of the Thalmor Helmet), "Crafting-Only" (Thalmor equipment will be exclusive to the player through smithing. Thalmor NPCs will wear their default elven equipment), and "Early version save game compatibility" (Some save games that rely on version 1.2 and lower will experience issues upgrading to newer versions, and so should use this optional plugin. As a side effect, this plugin will remove light elven armor from the game). IMPORTANT: For those upgrading from version 1.4 "Crafting Exclusive Version" you will have to rename "ThalmorStandalone.esp" to "CraftableThalmorEquipment.esp". Not doing so will result in the loss of any previous Thalmor Equipment you have already aquired. This was an oversight on my part, and I apologize for the inconvenience! Note: For those using the mod "PISE," This mod may be compatible but should be loaded after PISE. Crafting Thalmor weapons requires the perk "elven smithing" and crafting thalmor armor requires the perk "advanced armors". The Thalmor Armor has an armor rating that is better than elven but worse than glass, and the Thalmor weapons have the same damage as elven weapons, but are slightly faster and costlier to craft and upgrade. Both masked and maskless versions of the thalmor helmet are craftable. Thalmor armor is listed under the "Steel" category, Thalmor weapons are listed under the "Elven" category. This version REPLACES all elven armor with the black and gold texture and masked helms (Beast race helmets in optional download). Also included a fixed mesh for Elven warhammer, battleaxe, and Greatsword (NPC equipped and Dropped models), and a .esp to fix elven ear clipping with helmets. This version does not include any new recipes or items. Also included in the readme are optional install instructions for masked helmets only or textures only. 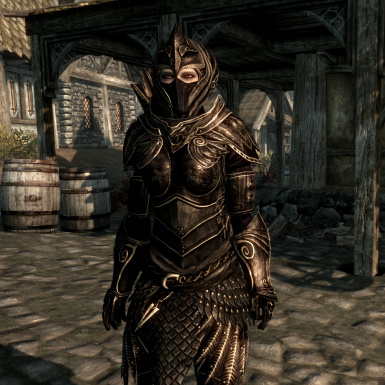 - In the Standalone version, A small amount of stubborn Thalmor may continue to use their old armor, or go naked. This issue should only appear in saved games prior to installing this mod, while new games should show all thalmor dressed in their appropriate attire. - The masked helmet shouldn't show clipping with most faces (extra long noses and chins, as well as orc mouths might be a problem) but will show clipping with most beards. Adds a replacer version of the masked elven helmet for Khajiit and Argonians. Beast race helmets are more likely to show clipping (whiskers, fur, and long noses) so I have placed them in a seperate download. As an optional download there is a male cuirass model that has a reduced gut and minor weight fixes (belt end, waist feather thingies, and a few other minor things). These new meshes may introduce appearance errors, but please uninstall the meshes and make sure the issue isn't on the original meshes before reporting them. 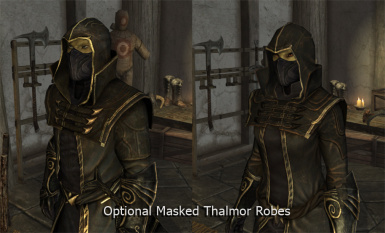 Another optional file is available to give hooded thalmor robes masks. This is currently non-beast race only, and there will be issues with orc faces clipping through, especially males. It''s a good thing the thalmor don't have any orcs in their ranks! 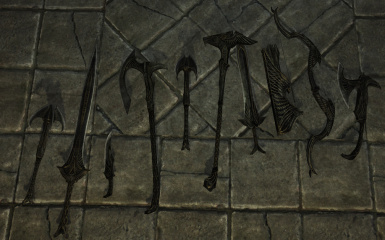 - All versions should now list Thalmor Arrows under the "Elven" category in the smithing window instead of the "Misc" category. - Consolidated all standalone versions into one download. - fixed thalmor arrows. They should no longer turn into elven arrows. 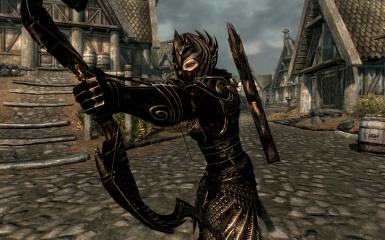 - added new recipe for thalmor arrows, and missing recipes for tempering the light masked helm. - added normal and environment maps to thalmor equipment to replace the elven textures. 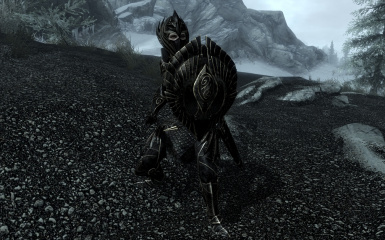 Thalmor armor and weapons should now be completely unaffected by changes made to elven armor. - Thalmor weapons now only require 1 quicksilver ingot to be upgraded. - Added Craftable Standalone version. All changes to armor and weapons applied to the Thalmor Only version were also applied to this new version. - Fixed a problem with Wood Elf and Dark Elf ears clipping through the Thalmor and Elven helms. 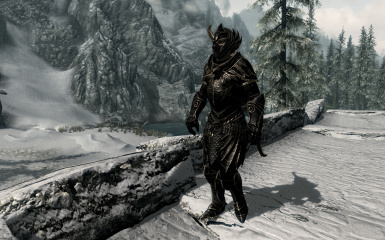 - Changed The Thalmor Light Armor FormID so it will no longer overwrite elven light armor. Elven light armor is now accessable in the console again. - Added Crafting and Tempering Recipes for Thalmor equipment. - Altered the armor rating and value of Thalmor armor to exist between elven and glass. 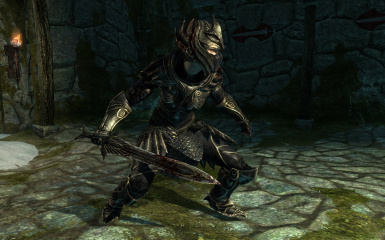 - Added both masked and maskless thalmor helms to the Thalmor item list. 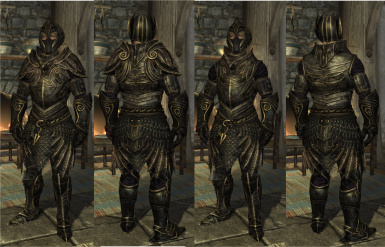 Thalmor wearing regular armor should now be maskless, while those wearing light and gilded will have masks. 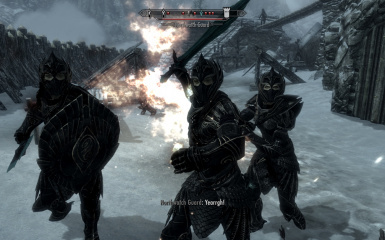 - Slightly increased the speed of Thalmor weapons to give them an edge over elven. To compensate for this I've raised their crafting and tempering cost. - Added Readme.txt files to replacer version and optional files for installation and uninstallation instructions. 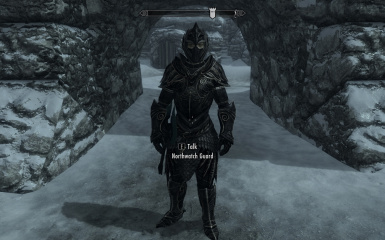 - New maskless version of JulianP's Thalmor-only mod. I require no credit given or permissions asked if you would like to edit any files included in this mod or use them in a mod of your own. Enjoy.